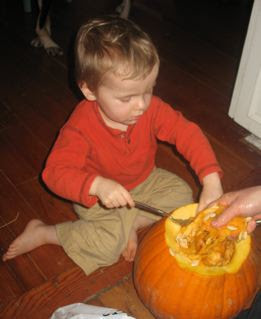 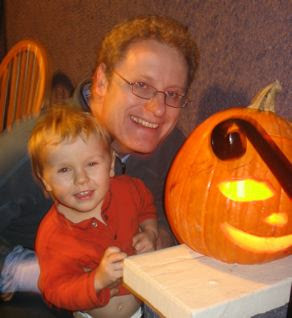 Halloween was especially fun this year - Rian was 2.5 years old and was great at making the jack o' lantern! 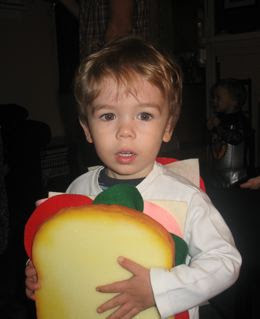 and his mate Sam went as a "sam-wich"! 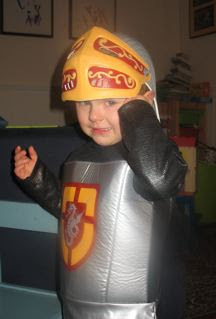 Trick or Treating was a huge hit! 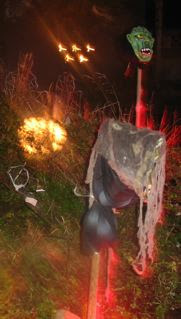 machine, Pete borrowed a proxima from work to show scary movies on our front curtains and we decorated the front yard! 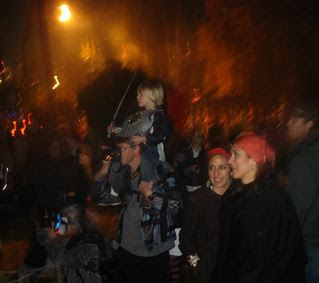 We were a huge hit and even made the local TV news!